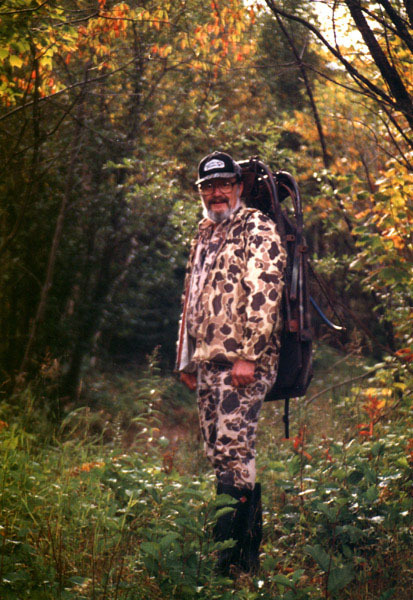 For more than four decades every member of my deer hunting gang has carried a plastic bag intended for the sole purpose of transporting a venison heart to camp. Much relished, most venison hearts are cooked and served with our very next evening meal. A lot of trial and error went into developing the recipe that makes heart the treat we so often enjoy. Directions for preparing heart are not ordinarily found in cookbooks. Here's how we do it. immediately following field dressing, separate (cut) the heart from its blood vessels and enveloping sack (pericardium), squeeze blood from its internal chambers and drop the heart into a clean plastic bag for cooling. Heart (and all other cuts of venison) should be fully cooled before cooking. beginning at the bottom (the pointed end), slice the heart into half-inch-thick pieces until you reach the portion where valves are located. The remaining upper chambers of venison heart are small and thin-walled so we generally discard this remaining section. Trim off excess fat. lay the slices on a plate, sprinkle both sides with Adolph's meat tenderizer (spiced), puncture the meat with a fork on both sides about every quarter-inch (thus poking tenderizer into the meat), and allow to stand at room temerature for 30 minutes or more. add enough cooking oil to cover the bottom of a frying pan and place on high heat. When the oil begins to bubble, add heart slices and brown quickly on both sides. turn down the heat, add fresh or canned mushrooms and sliced onions and fry slowly, stirring often, until the mushrooms and onions are well browned (caramelized). Then pour in a can of cream of mushroom soup, fill the can with milk and pour that in too. Stir well and then simmer for an additional 20-30 minutes before serving. The soup becomes a very tasty gravy. Mashed potatoes (instant) are therefore a staple with venison heart in our camp. Unfortunately (or fortunately) even two venison hearts is not enough to satisfy the hunger of four or more hunters in deer camp. Therefore, while heart is being prepared, we prepare an additional meat of some kind. One of our favorites is fillet mignon of venison (see following recipe).